We've had lots of sunshine this past week. 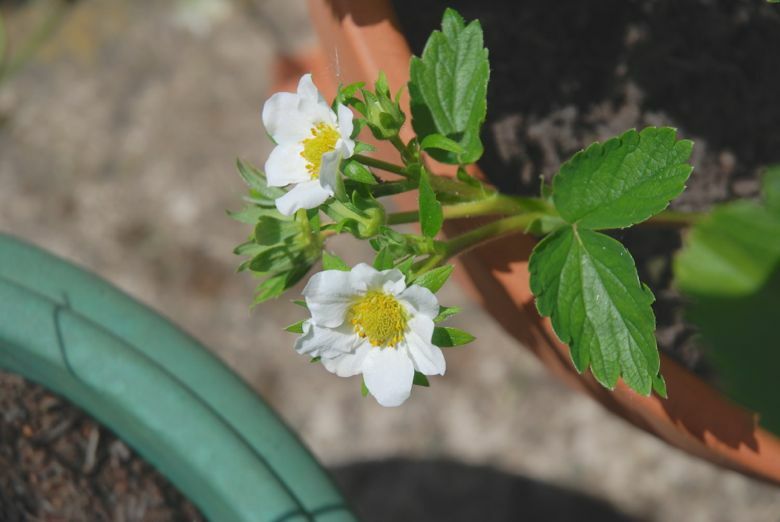 Combined with plenty of watering, the strawberry plants are finally bearing fruit. 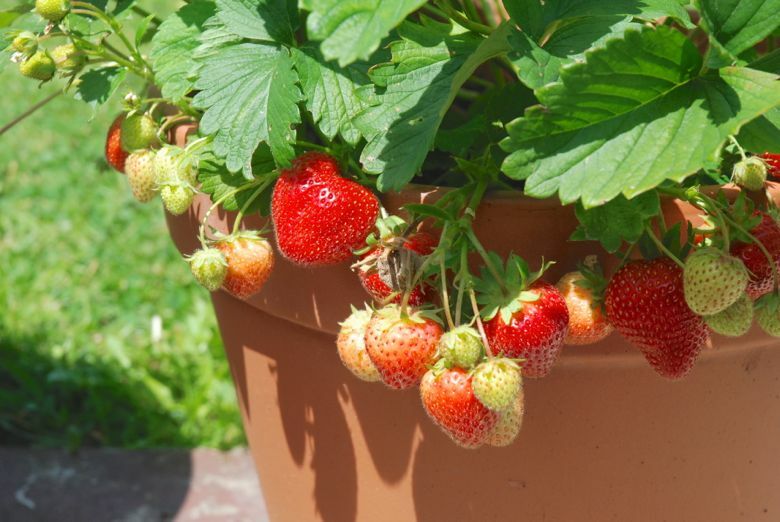 I'm sure growing your own in this instance is much more expensive than buying from a shop, but it is so satisfying to be able to walk out into the garden and pick dessert from a pot on the patio! 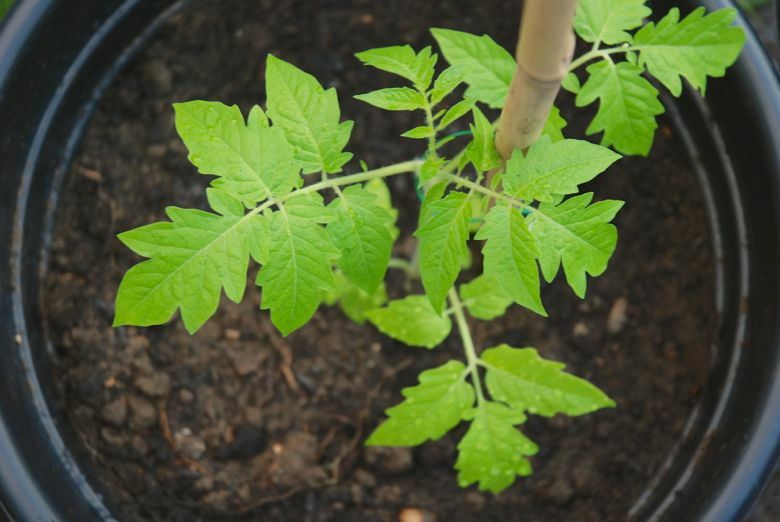 We planted out the tomato plants a couple of weekends ago and they are growing at quite a rate. I think I saw the first signs of tiny flowers this morning, so it shouldn't be too much longer until we have lots of lovely little tomatoes to feast on too. I'm not sure growing your own actually saves me money, but I really enjoy it so it's worth it from that perspective. And there's nothing quite like fresh fruit from your own garden is there? 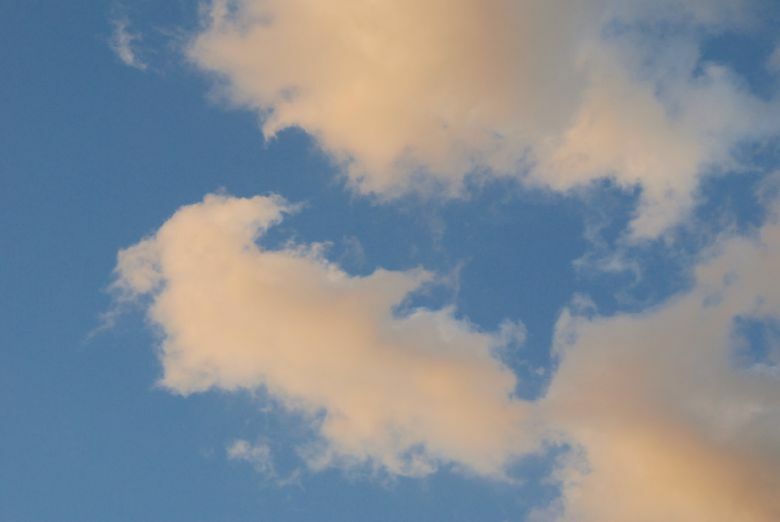 I love how you dropped in a photo of the glorious blue sky Charmaine. 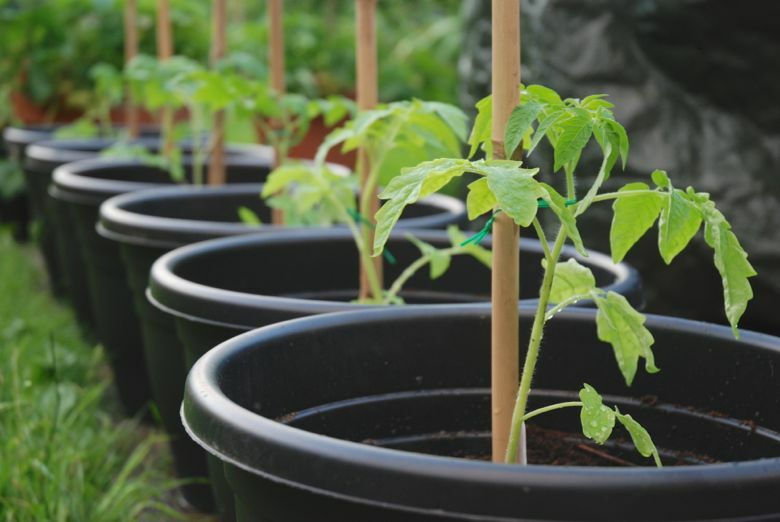 Our tomato plants have gone bonkers here this past week - the sunshine really is bringing out he best in the garden that's for sure. I've never grown strawberries - which is odd as it's one of the things I most recall about my parents garden as a child, that tiptoeing through the plants hunting for red gems! Yes I was going to say what Cheryl said. I bought strawberry plants from aldi last summer and they are back again this year, better than ever by the looks of it! they taste so good straight from the garden, don't they? We are having a good crop this year after having to share them with a visiting blackbird last year. Home grown tomatoes are the best. 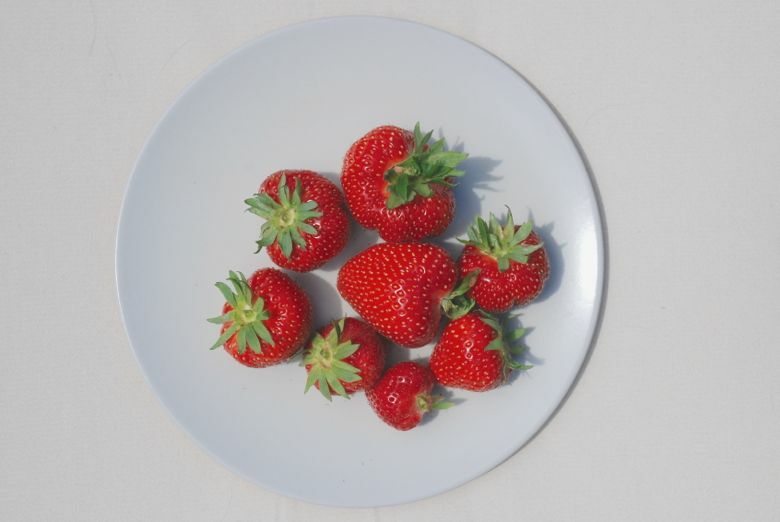 Love your pictures and your strawberries look very nice indeed.